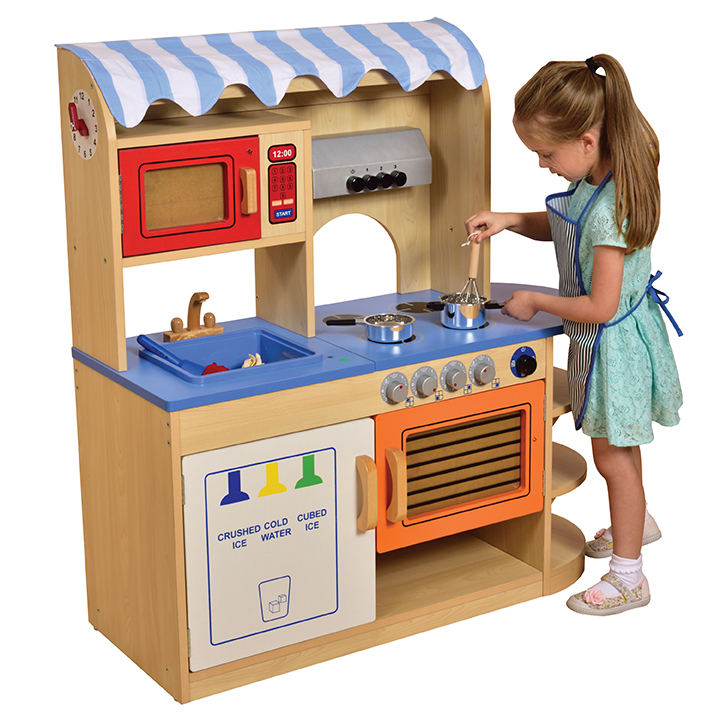 Our multi-function kitchen will provide hours of role play fun. Oven, hob, hotplates, storage, microwave, fridge/drinks dispenser can all be found in this multi-function unit (accessories not included). 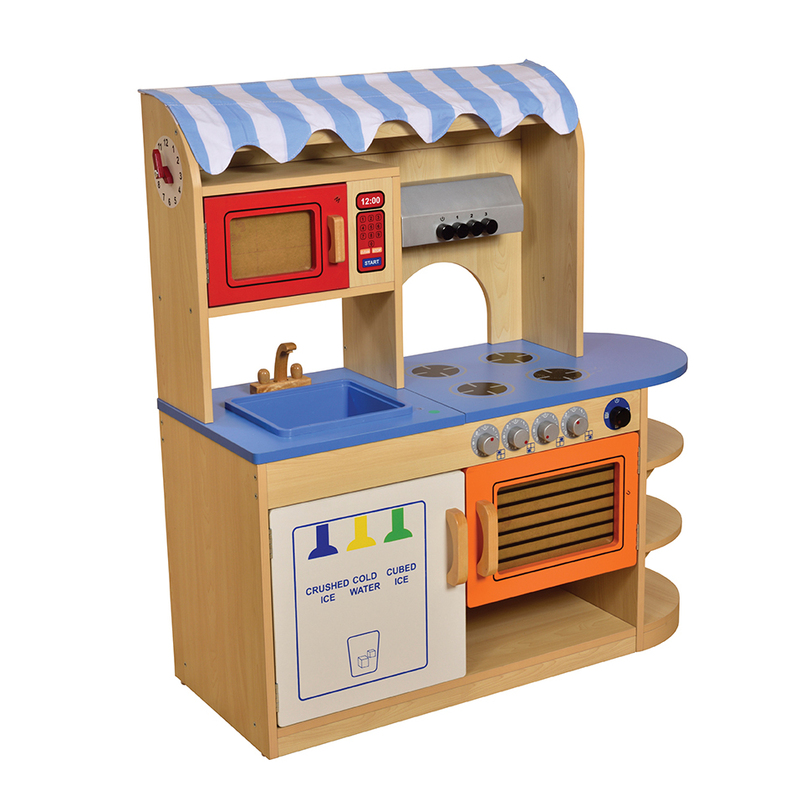 Manufactured from 18mm particle board and supplied flat packed with easy to follow assembly instructions.